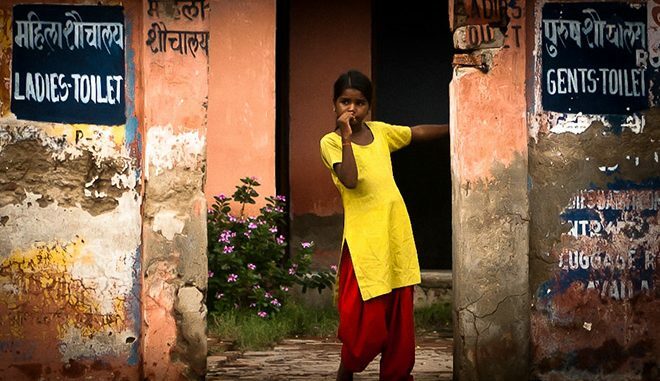 Numerous studies have been conducted, and stories circulated, of adolescent girls dropping out of schools due to lack of hygienic toilets and menstrual management. A similar but less known phenomenon is playing out in the urban work-scape that needs to be recognised and corrected immediately. Every sphere of the low to middle income urban work-scape –retail delivery hubs, low-end restaurants, even your corner kirana shops, etc. – has a drastic and visible absence of female workforce. Urban female employment levels are relatively much lower at 14.7 percent, compared to its rural counterpart of 24.8 percent, according to the National Sample Survey Organisation (NSSO) data. Thus, urban unemployment is clearly not merely a result of education, class, or income difference. India’s e-commerce sector is growing at an exponential scale. While Amazon, the biggest player in the space, boasts of robots, drones and fully mechanised logistics in the developed regions of the world, their systems in developing countries are relatively more primitive. The products are sourced from manufacturers and wholesalers, assembled in cricket-field-sized “fulfillment” areas, and then dispatched further to localised “godowns” and “hubs” — a manual yet somehow efficiently decentralised system with well-developed processes, strict SOPs, and a rigid pyramid of (human) personnel. The efficiency of the sorting, handling, and dispatching systems in these hubs is commendable. Headed by a “station manager”, these centres have a stringent hierarchy in the occupational structure within. An important point to note is that Amazon, Flipkart and others have only reached scale due to out-sourcing their last-mile delivery to external vendors – thereby reducing a redundant line in their delivery vertical, but adding a business opportunity for entrepreneurs in the logistics space. The listers, sorters, dispatchers, drivers, packagers, delivery agents etc. are all given a single task to be completed in a time-bound routine that is fascinating to observe, and a testament to the number of jobs this growing sector can create and absorb. The boom in the e-commerce sector means that a large cohort of heretofore-unemployed citizens, both men and women, can enter the fray. Several players have now entered the space, employing women for their last mile delivery services. Amazon, Blue Dart, Flipkart, KFC and Dominos have also ventured into hiring women directly for these services. The sense of responsibility and dependability for employers, and sense of safety for customers – ostensibly “female” qualities – is a factor being appreciated and courted by the companies. While the last-mile delivery space of most of the e-commerce retailers is seeing a surge in female workforce participation, the local assembling hubs of all the e-commerce retailers do not have a single woman working in it. This was witnessed firsthand in several delivery hubs of Mumbai, Bangalore, and Pune. One woman, who had just started working as a delivery agent for a start-up food delivery company in Tardeo, Mumbai, could not continue the job as the washroom for the non-executive staff was a shared community toilet on another floor, and she was afraid of unhygienic conditions as well as privacy. The same problem is prevalent in several outlets of popular fast-food restaurants in Mumbai as well. The female staff does not feel comfortable using the toilets. While some continue to work due to the close proximity of homes, others dropped out to look for jobs closer to home. When women can ride scooters, lift massive bags with heavy packages, and deliver them to strangers’ homes, why are they invisible in the relatively “softer” departments of packaging and sorting? The age-old argument that male-dominated areas of work require physical strength, which women do not have, is evidently not relevant here. The lack of focus on public sanitation and transport infrastructure restricts both men and women from travelling long distances to work in the selectively growing urban workscape. The lack of gender sensitive infrastructure in urban areas is not a new topic. Ramanath Jha, the Chairman of the Mumbai Development Plan Review Committee and ORF’s Distinguished Fellow, has elaborated various policy interventions that are required in order to make our cityscape more woman-friendly, such as the establishment of “public convenience blocks”, which have exclusively designed blocks for women, including scientific disposal mechanisms and sanitary pads. There have also been several attempts at sanitation engineering — the Swachh Bharat Mission – Gramin (SBM-G), the rural wing under the Ministry of Sanitation claimed to have made 89 percent of rural India Open Defecation Free (ODF). However, there is a significant imbalance in the focus given to rural sanitation versus urban sanitation. While rural sanitation is a focus due to lack of hygiene awareness, availability of toilets and cultural-traditional norms, urban sanitation is a different kind of problem due to hygiene related issues of toilet maintenance and sewage disposal. The government claims that 2,700 cities have been made ODF under the Swachh Bharat Mission – Urban (SBM-U) under the Ministry of Housing and Urban Affairs. In the budget 2018, a sum of Rs. 17,843 crore has been allocated for the SBM, out of which Rs. 15,343 crore has been allocated to SBM-G. While the construction of toilets in rural areas clearly requires a larger budget allocation, jobs in rural sectors are mostly home-based or agricultural – therefore the requirements of public space toilets and workplace toilets are minimal as compared to urban areas. This factor needs to be addressed in budget calculations and allocations. The SBM-G guidelines contain a well-researched “gender guidelines” document for the principal secretary in charge of rural sanitation. These guidelines highlight that the SBM needs to be implemented in a gender-sensitive manner due to “issues of lack of privacy, safety, sexual harassment and gender-based violence.” Listing these substantial issues in an inventory-like manner, and placing the onus for their mitigation on the rural sanitation department as opposed to an inter-ministry social development agenda, belies the gravity of the aforementioned issues, and the necessity of clearly assigned responsibility. The guidelines do highlight extensively the need to upgrade the management of toilets according to female hygiene standards, the importance of having women to help in designing them, and the importance of menstrual hygiene management. However, these guidelines are again restricted to SBM-G; which means that the intervention for gender-sensitisation sanitation is yet again overlooked in the urban context. The only direct reference to gender sensitive sanitation engineering in the SBM-U guidelines is a line denoting that “Care should be taken to ensure that these facilities have adequate provision for separate toilets and bathing facilities for men, women and the physically disabled.” Urban policymakers and SBM leaders need to further customise the mission and budget allocation in terms of gender-sensitive public space and work space, not just household sanitation and rural sanitation engineering. Urban India today has flawed, missing, decaying, and unhygienic infrastructure that does not support working women. If women are to venture out in the workplace, and take advantage of the employment boom in sectors such as e-commerce where jobs definitely exist but cannot be utilised, the well-intentioned Toilet Missions need to be upgraded to monitoring for hygiene and gender-sensitive sanitation as well. The mass building approach needs to be replaced with a nuanced and user-friendly – especially women-friendly – approach. India’s business community is still largely at a rudimentary stage in developing the necessary social values in the conduct of business, notwithstanding the corporate social responsibility and corporate governance sought at higher levels. Indian businesses, whether big and bustling, or small and struggling, are still infused with the values of jugaad and cost cutting to the exclusion of any conscious attempt to make work places more employee-friendly in general and women employee friendly in particular. Women-friendly toilets should therefore be an enforced statutory condition for shop and establishment and factory licenses, regardless of whether a woman is employed in it or not. This will curb the tendency of employers to not hire women due to the perceived added costs. The possibility of the proliferation of this trend was noticed in the reaction to the Maternity Benefit (Amendment) Act 2017 which disincentivised employers from hiring women due to increased and cumbersome compliances. The right to hygiene and sanitation in work places must be ensured, regardless of whether the workplace is a delivery hub or a swanky corporate HQ, and should cut across the divides of class and gender. While businesses should build and maintain this infrastructure, the government should regularly monitor compliance. It is time the government realised that women are being penalised and kept away from the workplace – not due to a lack of ability or interest, but due to lack of suitable sanitary infrastructure.